Comment: Water collects in one area of the yard, want to add drainage. Need foliage cleaning. Need grass. Comment: Yard currently has red rocks throughout with weeds starting to come up. I want to remove the rocks and put together a nice landscape. Comment: I am looking for some cleanup and removal of some unwanted small trees. Removal of a small tiered vegetable garden. Mulch renewal in beds. Additional planting in beds. Weeding and seeding of lawn. Yree trimming. Maintenance plan for lawn including leaf removal. Comment: Need to remove wooden lawn edging and install new edging that will be more permanent. Comment: I need to tile a certain portion of my backyard. We now have grass and weeds growing. In addition I want a pathway built from the tiled portion to my garden beds.. Comment: I would like to get an estimate for looking for wall. Rutherford Landscaping Companies are rated 4.78 out of 5 based on 414 reviews of 30 pros. 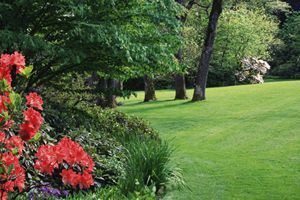 Not Looking for Landscaping Contractors in Rutherford, NJ?